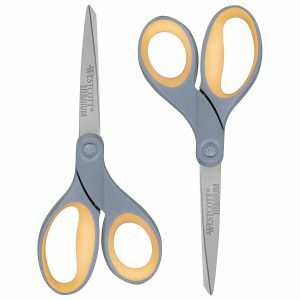 Amazon has a Westcott 8" Straight Titanium Bonded Scissors, 2 Pack, $3.01 Free Shipping $25 or with Prime. Expires Soon - Highly Rated at 4.2 out of 5 stars. Next lowest price $8.